6LACK drops off his new album “East Atlanta Love Letter,” featuring J. Cole, Future, Offset & Khalid. Over the past few weeks, 6LACK has really picked up the promo for his new album by first mailing out 20,000 postcards to some die hard fans with the project’s cover art unveiled. Along with that, the ATL singer also shared the star-studded tracklist & songs likes “Nonchalant” & “Switch” to further build hype, but now after months of anticipation the wait is over. East Atlanta Love Letterhas finally arrived today on iTunes and other streaming platforms. Laced with 14 tracks in total, the follow up to 2016’s Free 6LACK features guest appearances from Offset, Future, Khalid, & J. Cole, the latter of which who appears on the previously heard song “Pretty Little Fears.” Meanwhile production is handled by the likes of Bizness Boi, Joel Little, Stwo, & T-Minus among others. Prior to its release, the project had been described as a love letter to the rapper’s friends and family, as well as his current and past lovers. It’ll also explore concepts like love and empathy, which 6LACK asked fans to open about on the postcards he sent out & his website (see here). Take a listen to the new R&B project and let us know what you think. 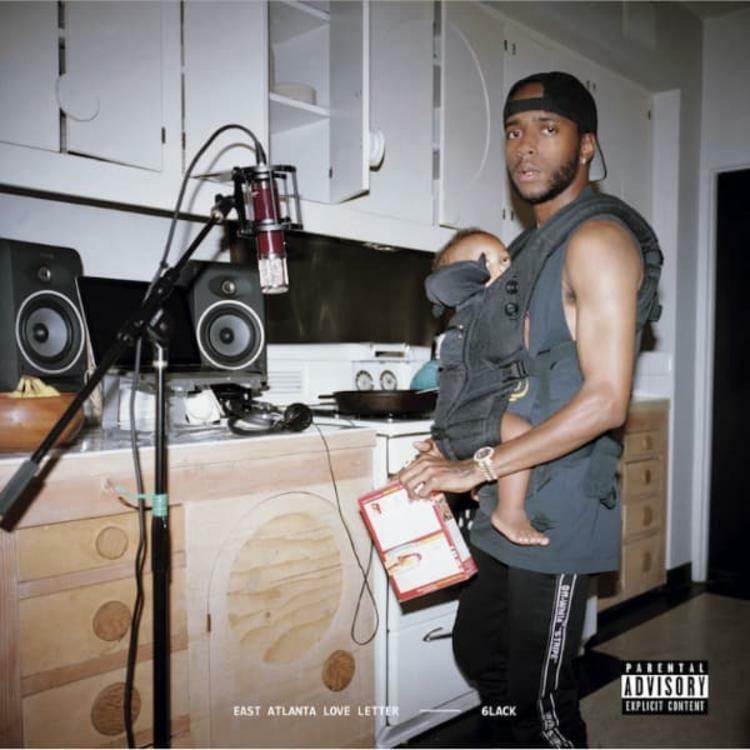 Stream 6LACK – East Atlanta Love Letter Album Download Below! !